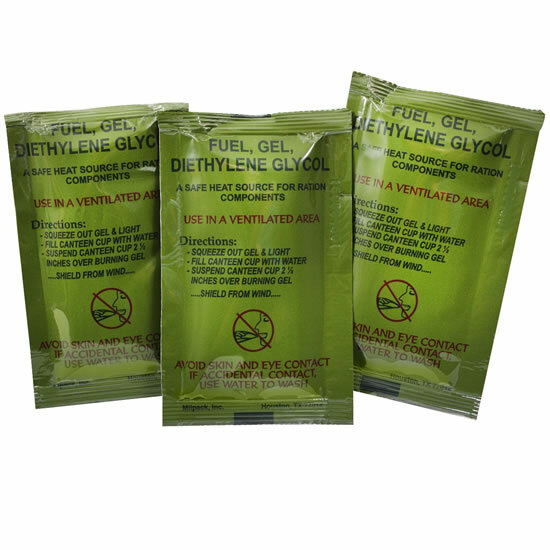 Military Gel Fuel - Quick and easy way to boil water or cook your chow. Squeeze the gel onto the ground and light. Last for 12-15 minutes of good burn time. 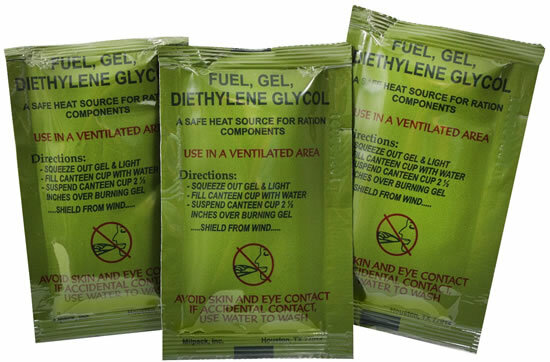 Use with your canteen cup stove to suspend your cup over the flame.